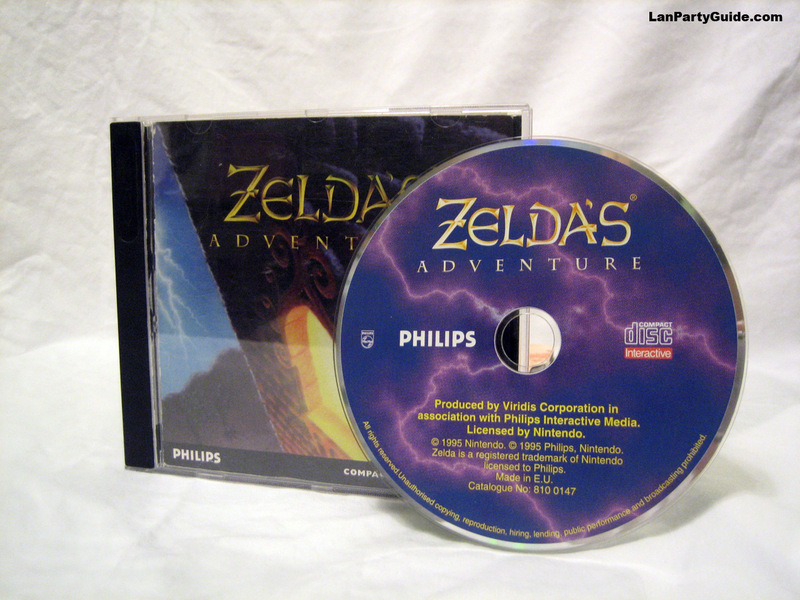 I have been collecting Zelda games for many years now. 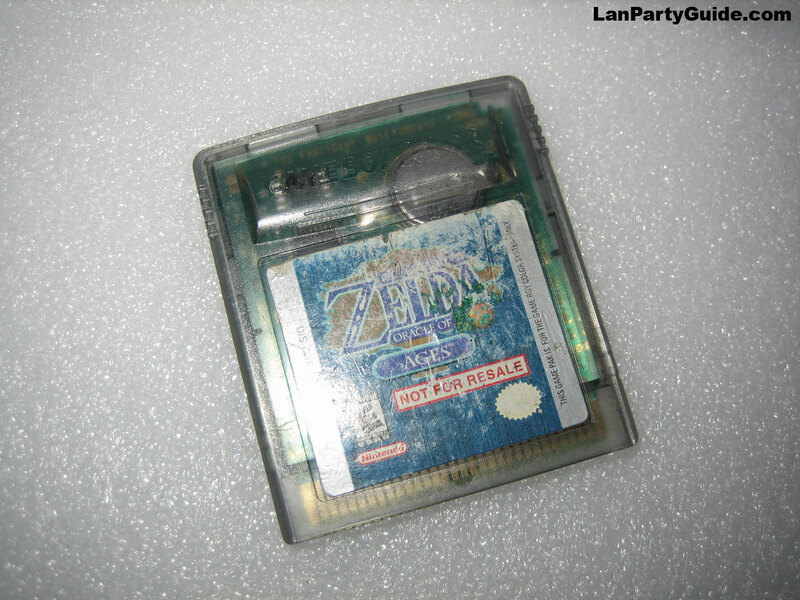 Below I've listed some of the more rare items I have in my collection, as well as a few I don't. 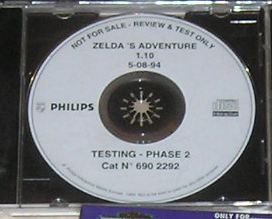 This features version 1.0 of the game. 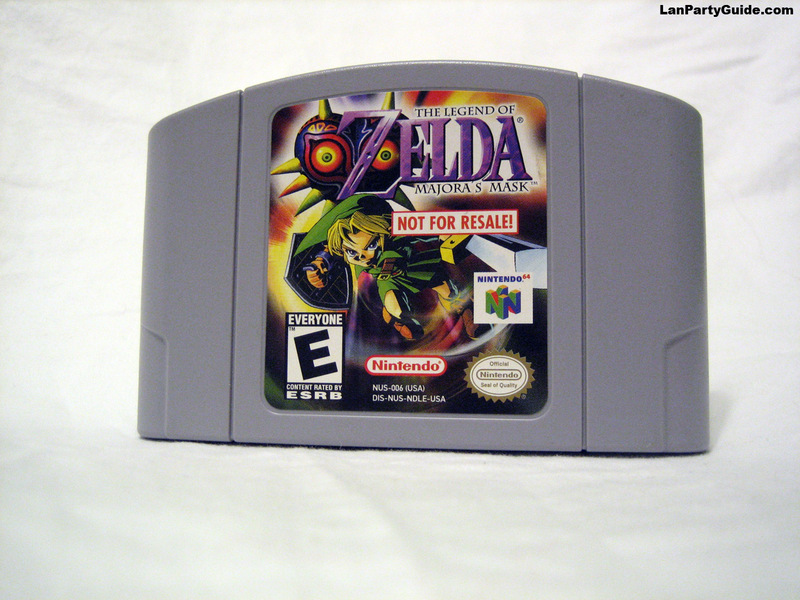 A not for resale version of the popular Nintendo 64 game. 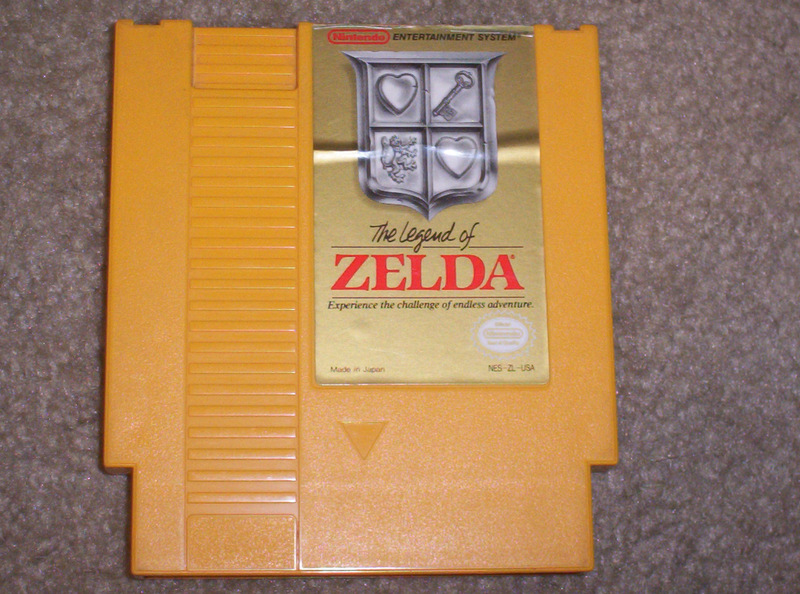 The gold cartidge has the same ROM as the regular version of the game, merely a different outside. 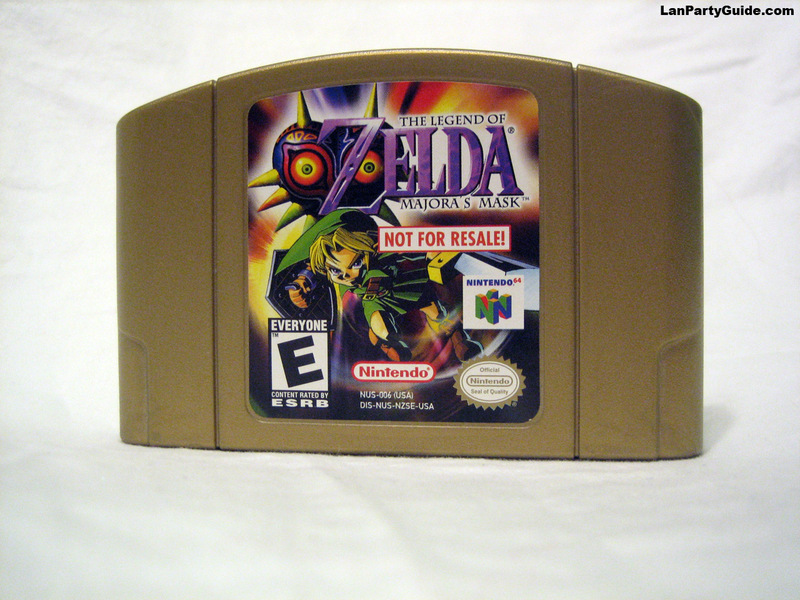 The harder to find not for resale version of the Nintendo 64 game. 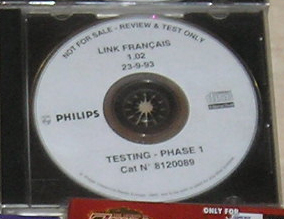 The grey cartidge has a demo verion of the ROM. You can select from a list of available levels and bosses when you start the game. 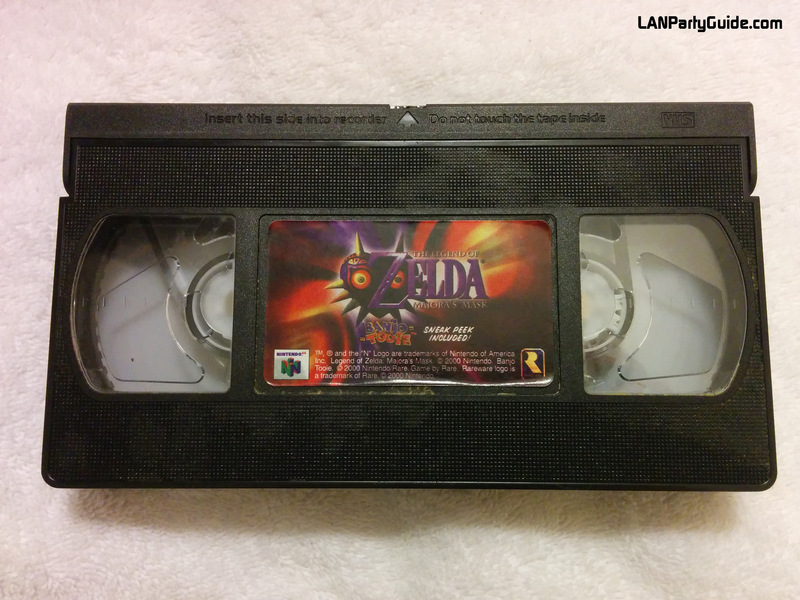 This VHS tape was shipped out to Nintendo Power Subscribers in conjunction with Toys R Us in the year 2000. 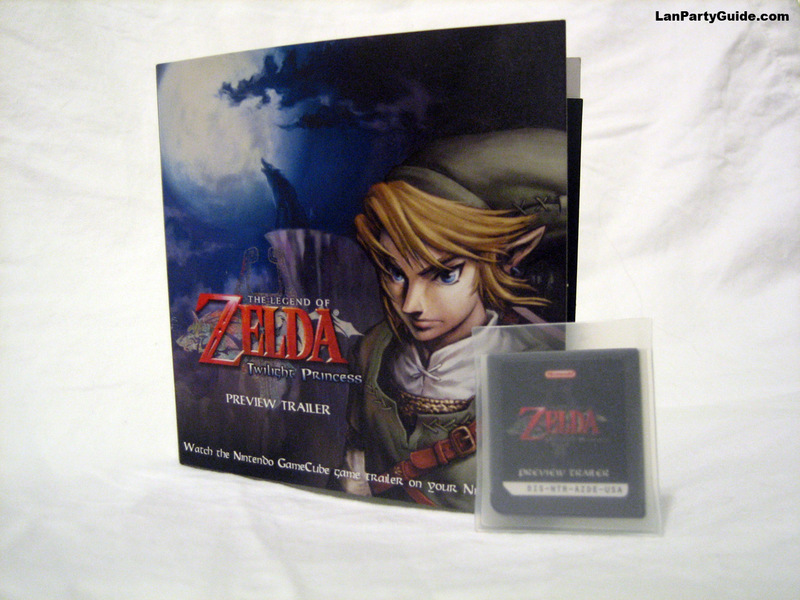 This cartidge was given away at the E3 of 2005. 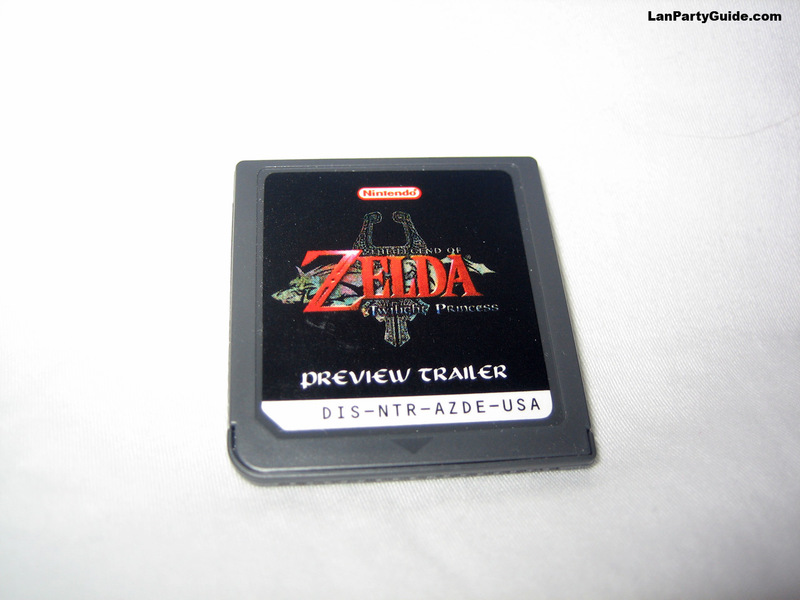 The cartridge contains the official trailer for Twilight Princess on it. 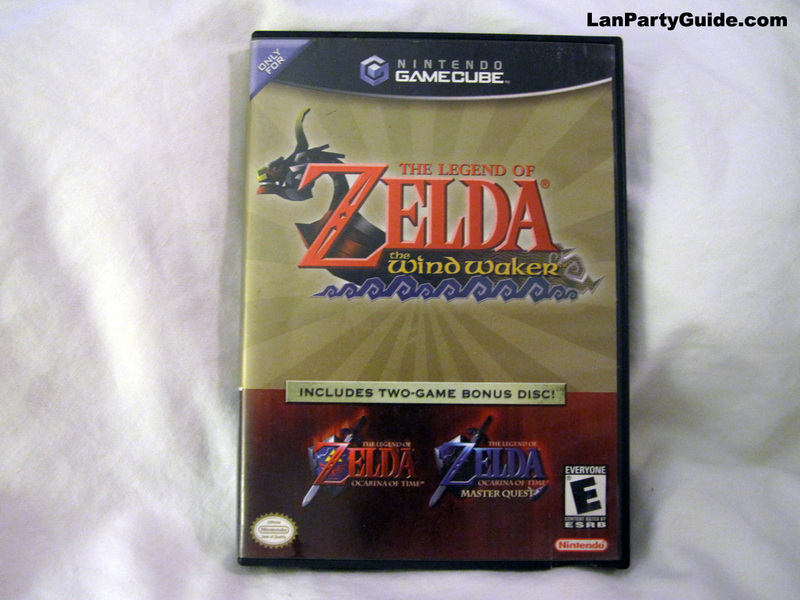 Here is one of the black sheep of the Zelda family. Here is the demo version of the Faces of Evil. What's more shameful than owning one of the most embarrassing games there are? 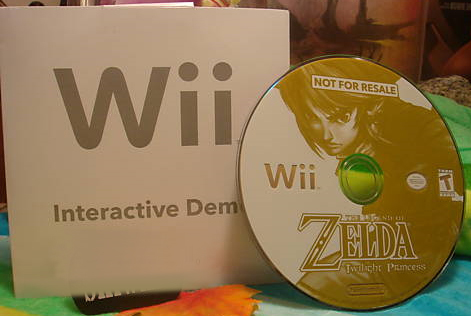 Why owning the demo version of it of course. 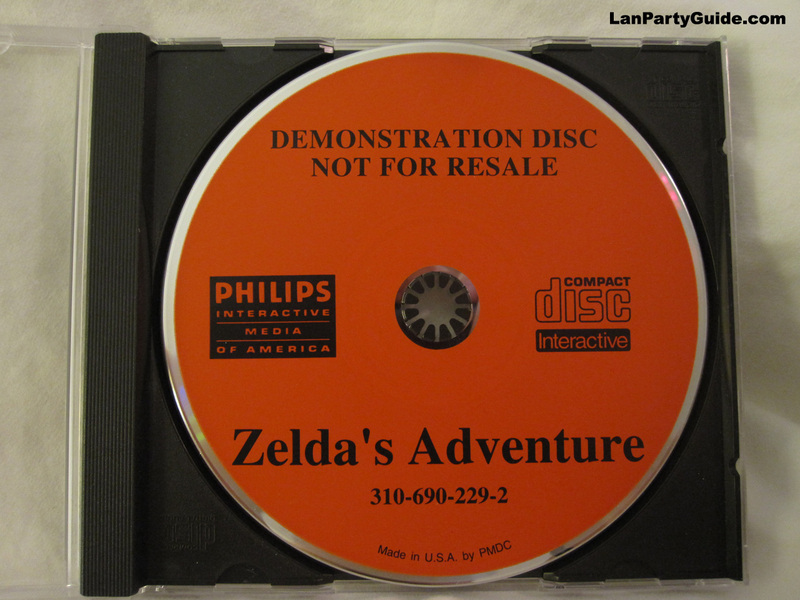 This is the hardest to find CD-i game. 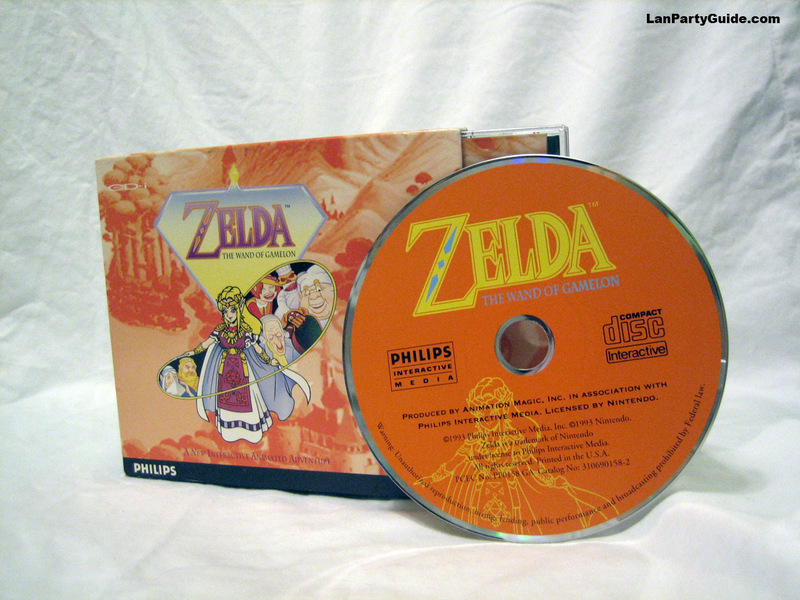 Unlike the first two CD-i titles, this one has the player control Zelda. It also features an isometric camera view. I was finally able to add this gem to my collection! Thanks ebay! I know, it's pretty beat up. It was like that when I got it. Don't blame me! 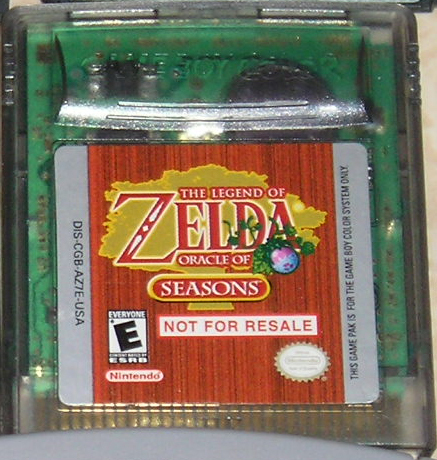 "Not For Resale" version of the Oracle of Seasons cart. 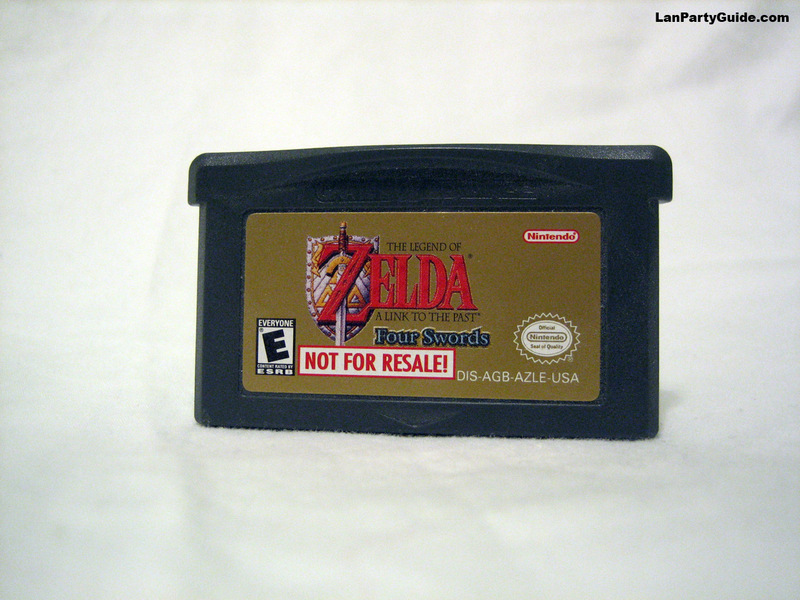 A Not For Resale cartridge of the GBA game. 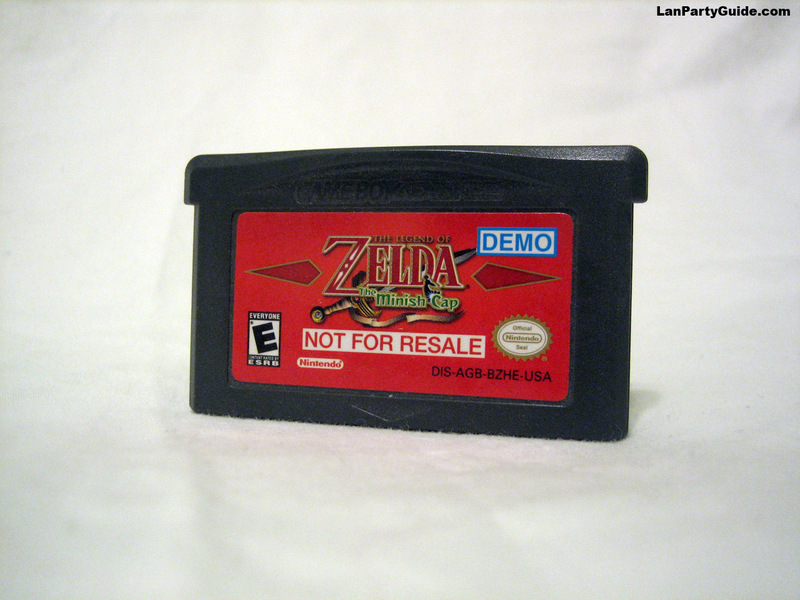 A demo cart of the GBA game. 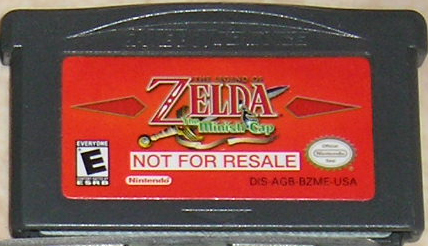 Unlike the cartridge you'll see above, this one does not have "DEMO" in the upper right hand of the label. 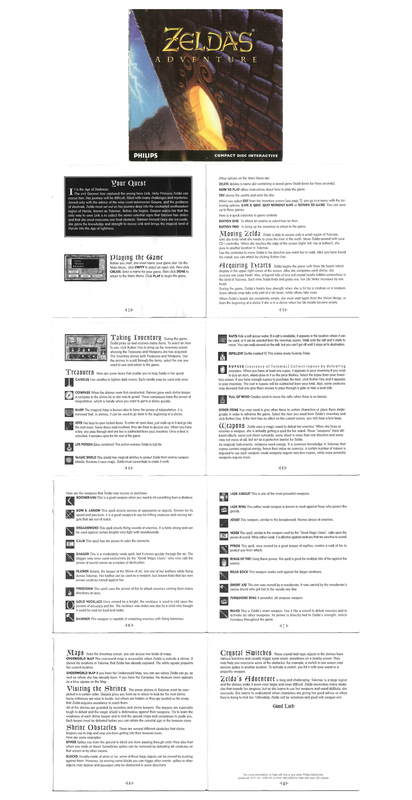 This was launched on Black Friday 2007. 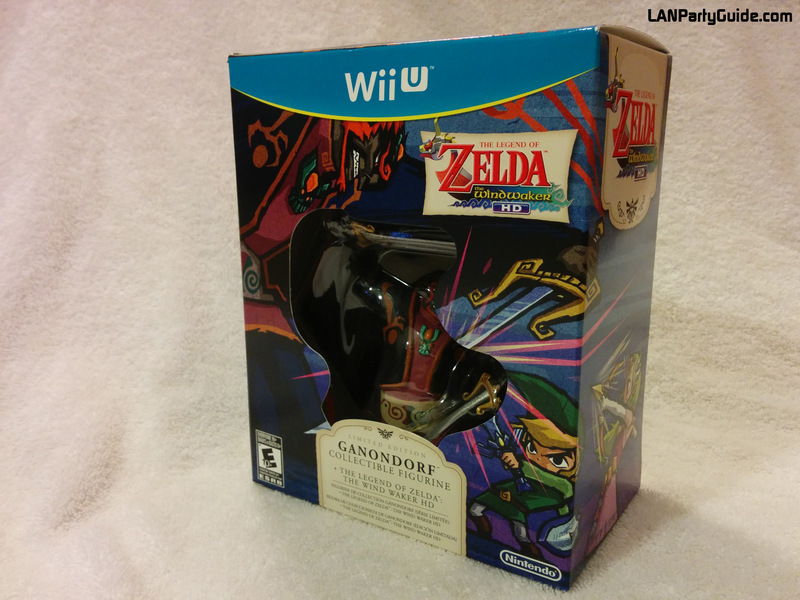 It came bundled with the Phantom Hourglass game. 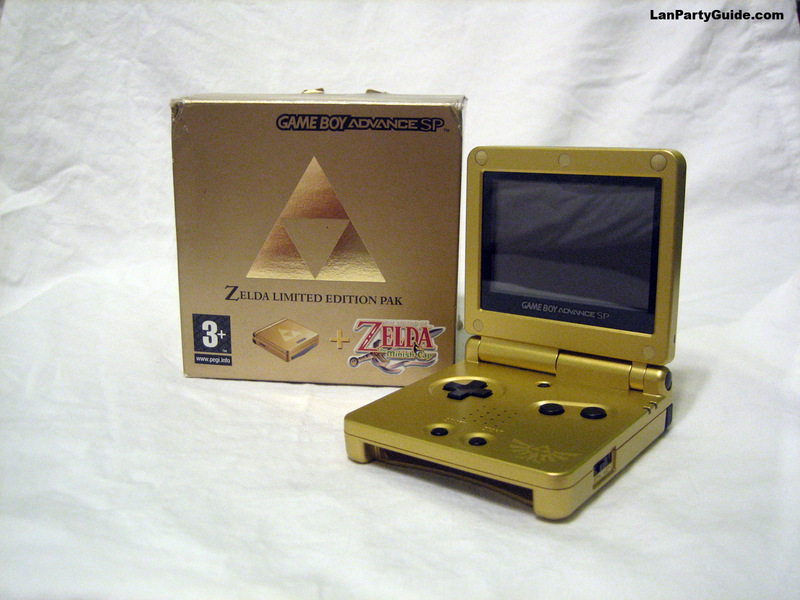 Breaking away from the norm, Nintendo released a SILVER Zelda edition Nintendo DS in the UK. 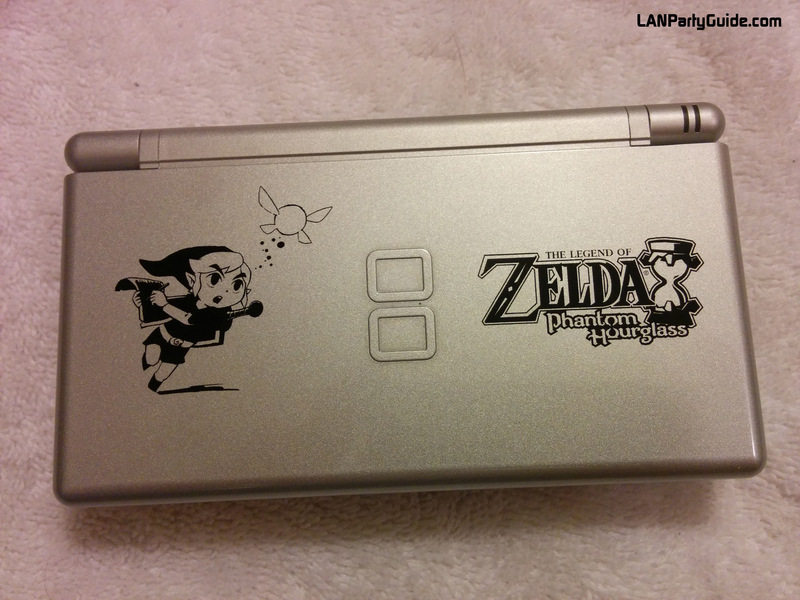 Instead of the standard Triforce, you will find a picture of Link on the front of the DS. 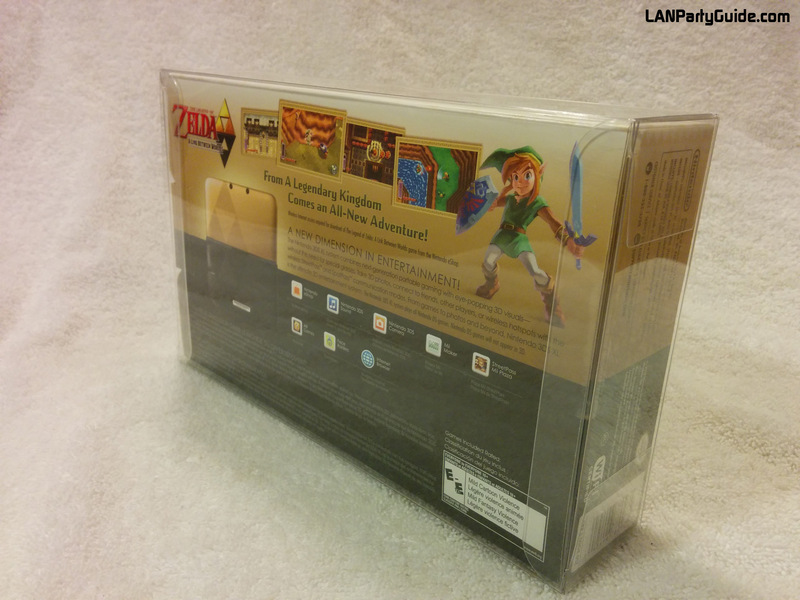 This came bundled with the Phantom Hourglass game. A special thanks to Jacquie and Dylan for helping me get my hands on one! 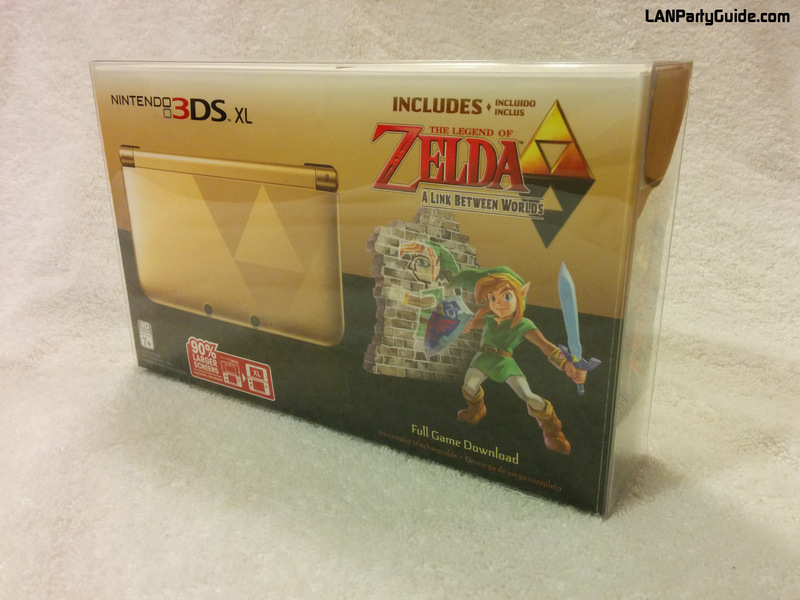 To celebrate the 25th anniversary of the series, Nintendo released this Zelda edition of the 3DS on Black Friday 2011. 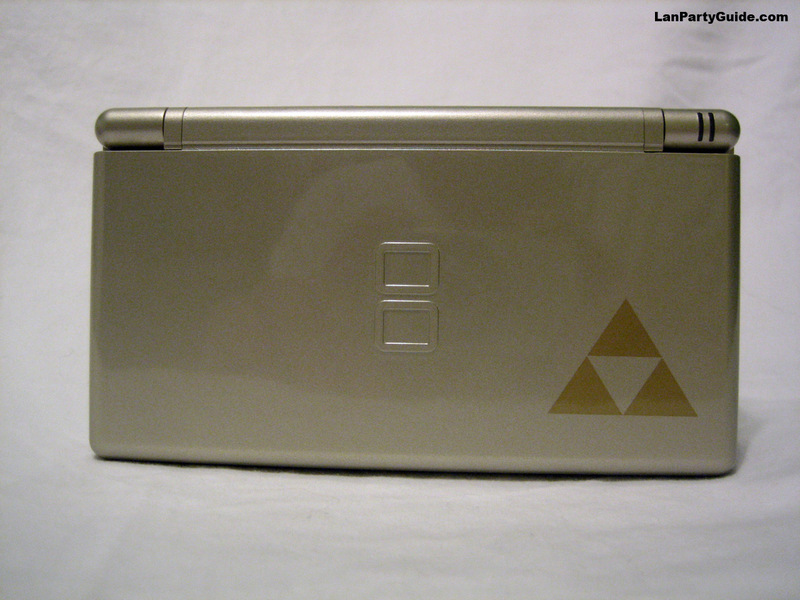 Along with the stylish graphic on the lid, it also features other gold accents, such as the button labels and 3D slider. 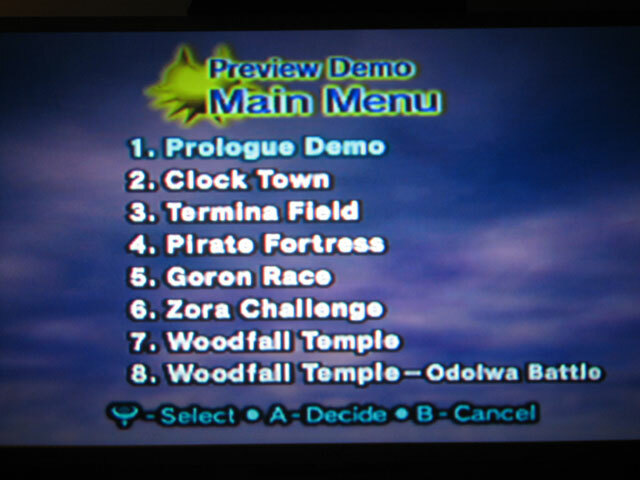 The demo version of the game allows you to either play thru a dungeon, or go fishing. 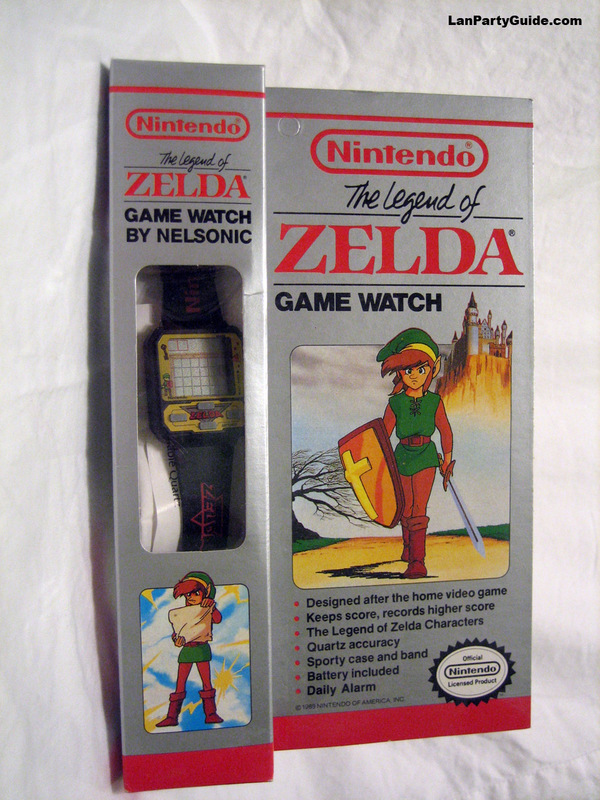 One of Nelsonic's game watches, this is the black version of the Zelda watch. 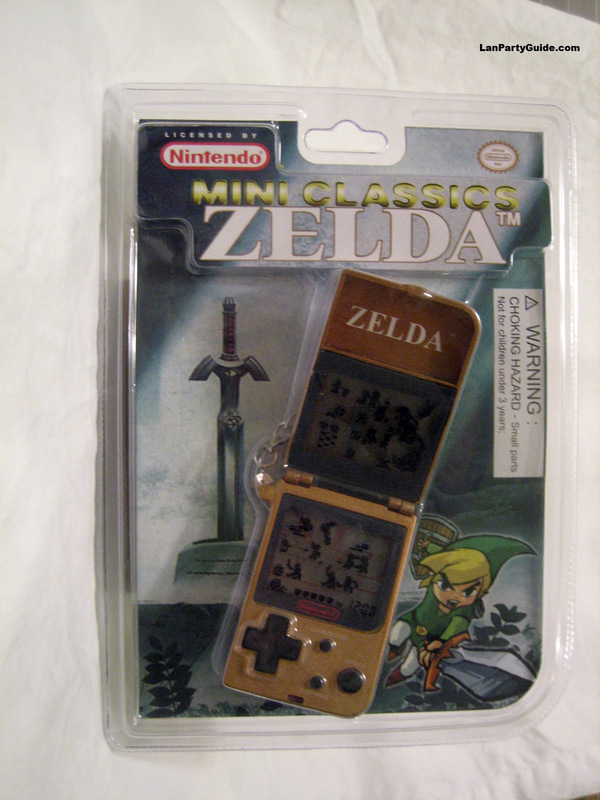 Here is one of the original Zelda Game & Watch handheld devices. 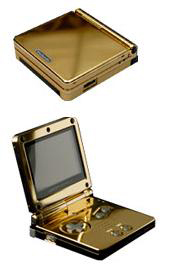 It is extremely similar to the Nintendo DS. 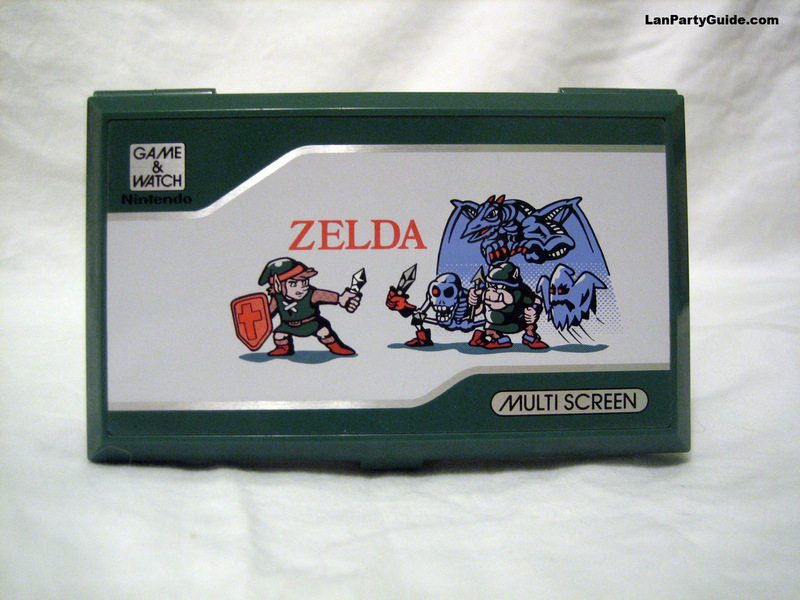 Toymax was licensed to make this remake of the Game & Watch. 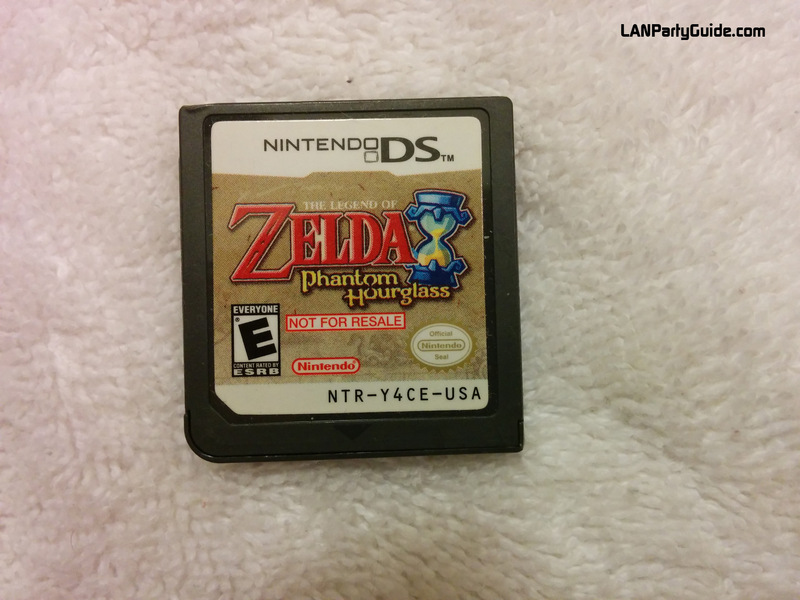 Here is an image of the Phantom Hourglass Demo cartridge for the Nintendo DS. 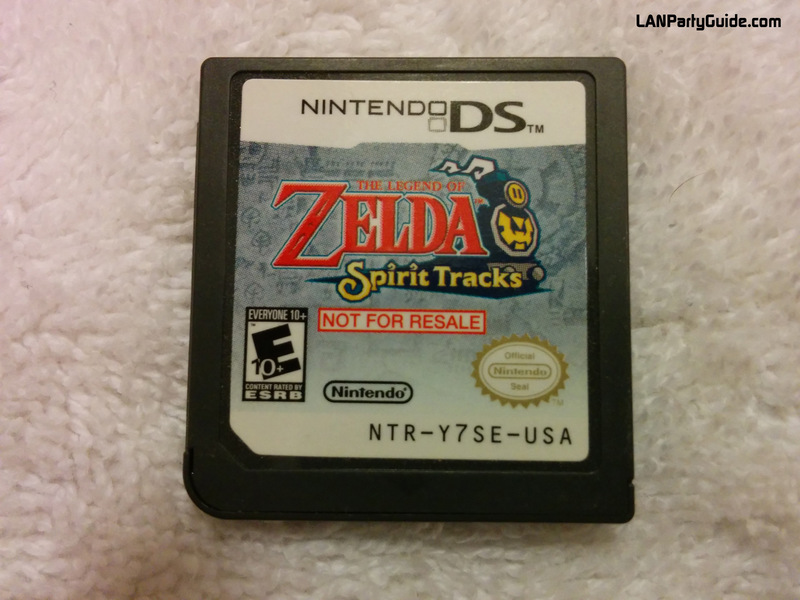 This is the demo cartridge for the Spirit Tracks game for Nintendo DS. 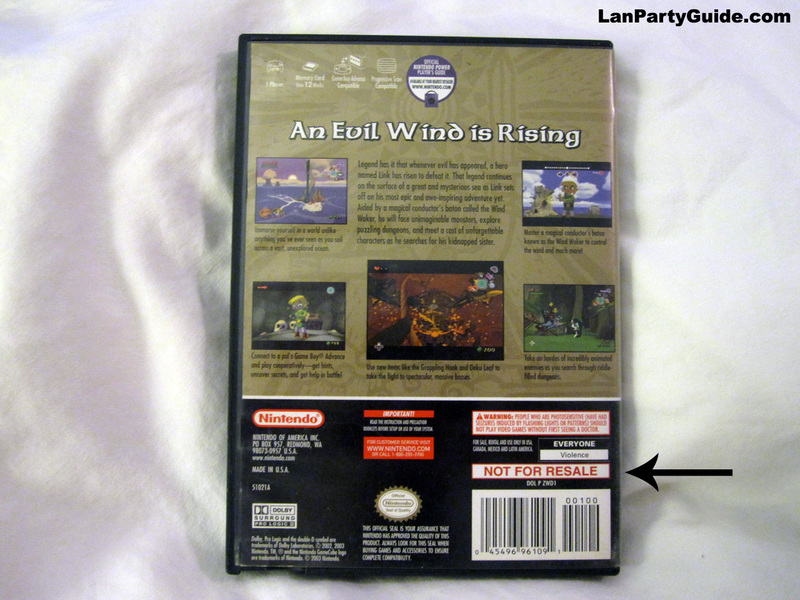 This particular version of the Wind Waker disc was part of a Walmart promotion. 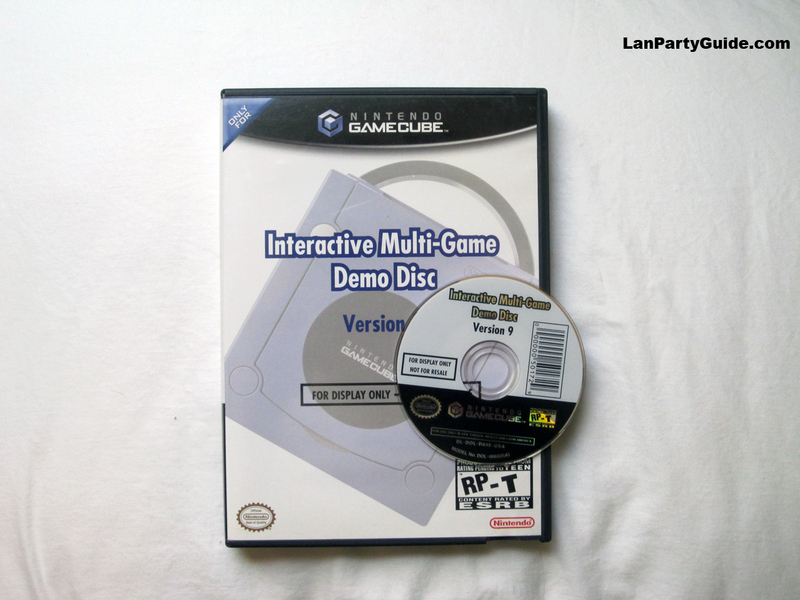 This was bundled with a new Gamecube, alongside a Gameboy Advance / Gamecube cable. 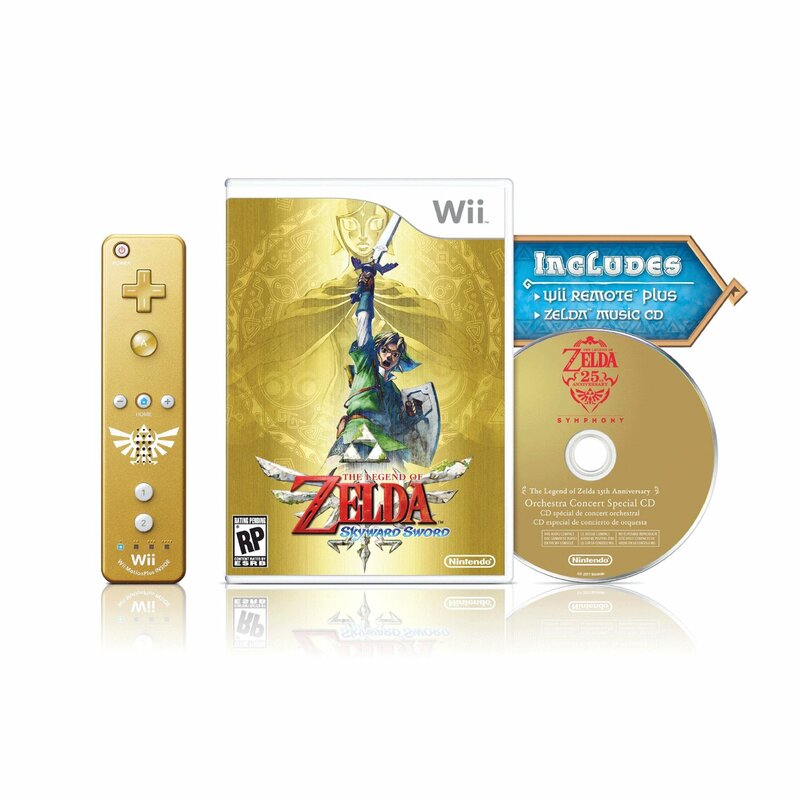 It includes the standard Wind Waker game, as well as the Ocarina of Time promotional disc. 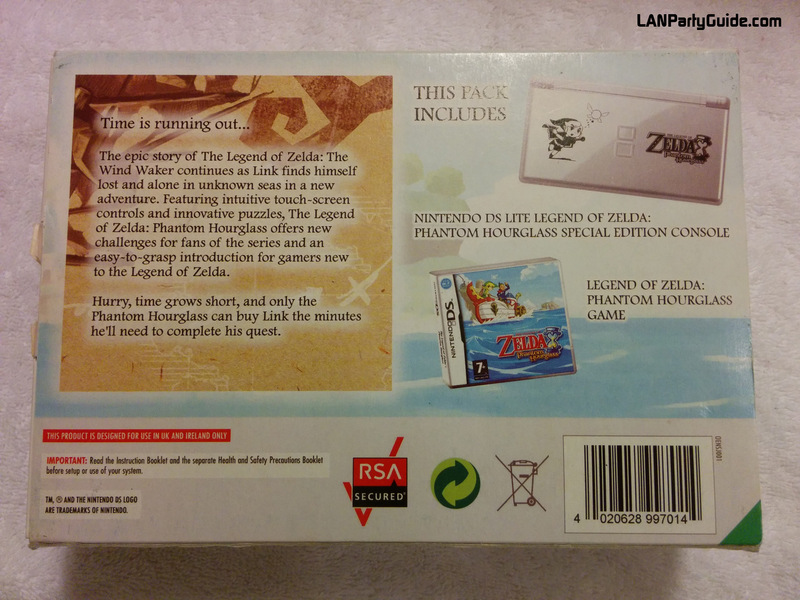 What makes this bundle special is the fact that it is all included in one game case, instead of two separate ones. 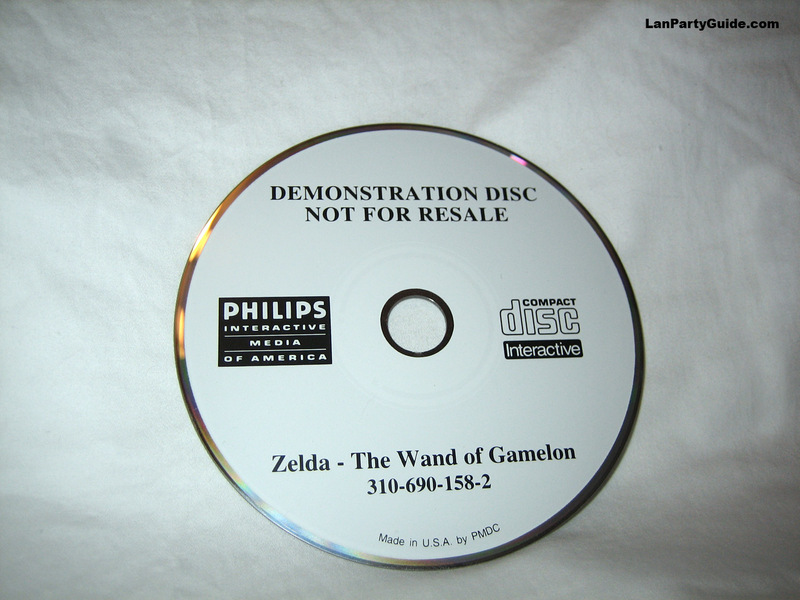 This Gamecube demo disc contains a handful of demos, including a playable Wind Waker demo and a Wind Waker preview movie. 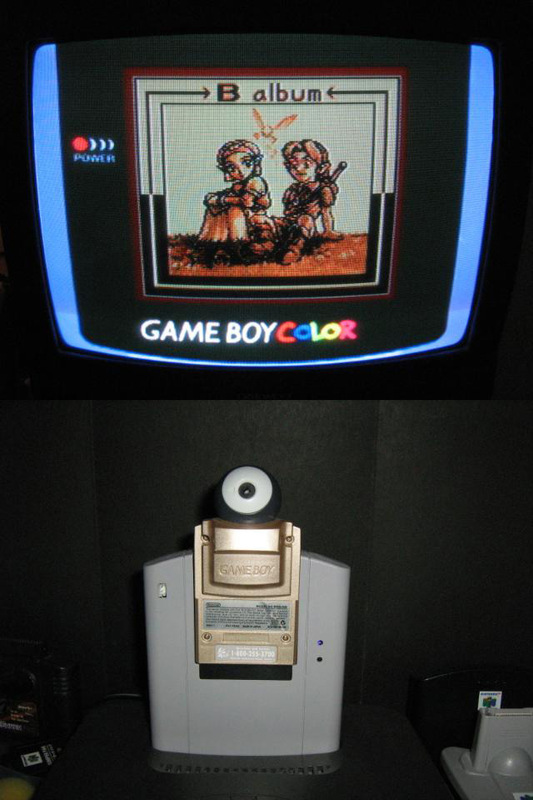 Along with the standard colored gameboy cameras, Nintendo offered this golden one to Nintendo Power subscribers. 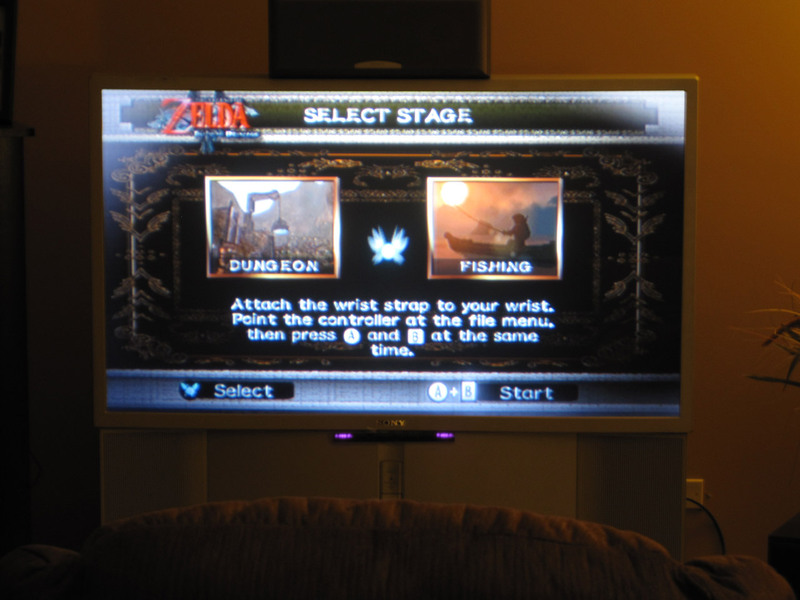 This camera featured a different set of 'stamps' available to the user, which included images from the Ocarina of Time. 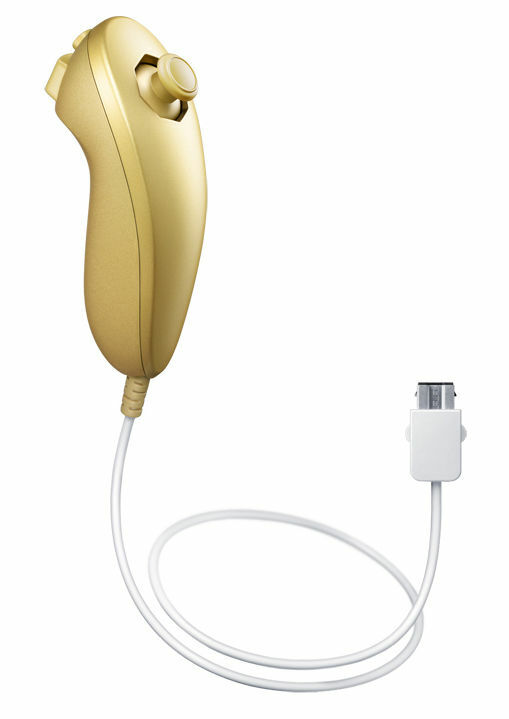 To celebrate the series' 25th anniversary, Nintendo released a version of Skyward Sword that included both a Golden Wii Remote (with motion plus) and a music CD. 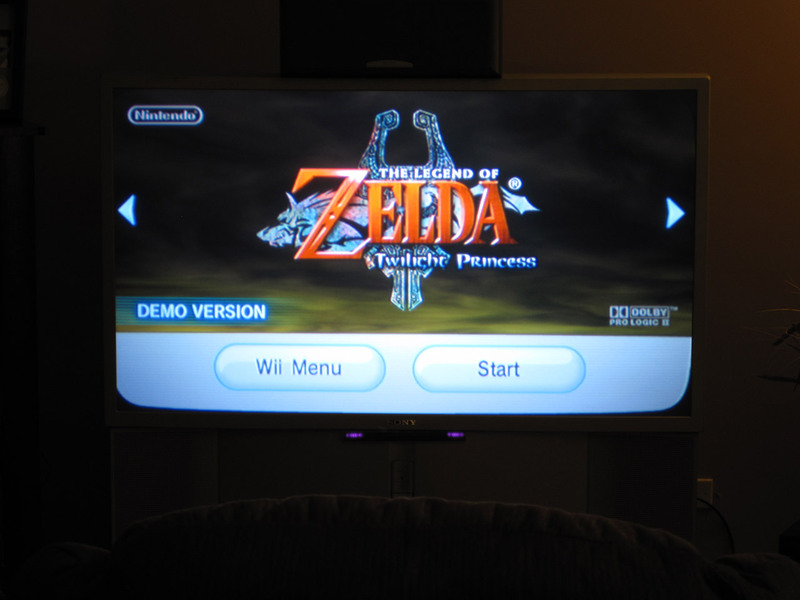 This accessory became available shortly after the release of Skyward Sword. 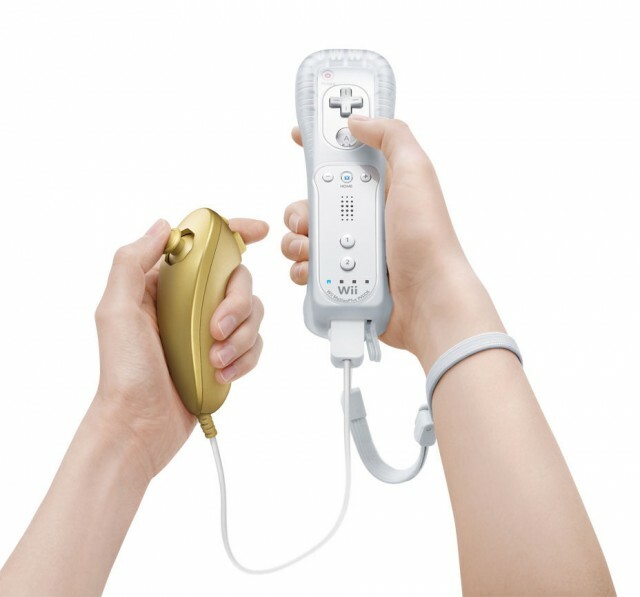 Originally, this item was only available via Club Nintendo's Japanese site for 600 points (400 points if you registered a copy of Skyward Sword). 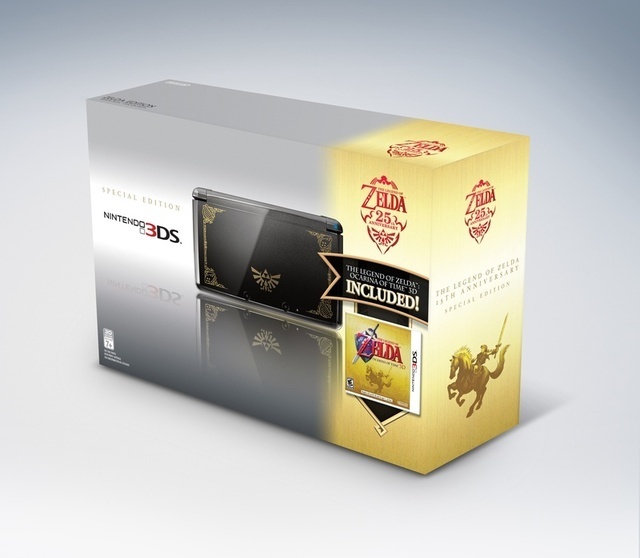 This was later offered on North America's Club Nintendo site. 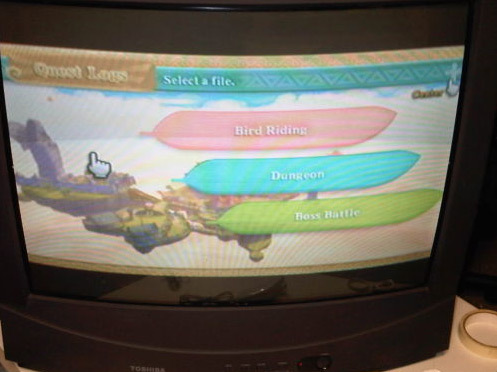 The demo version of the game allows you to either ride a bird, explore a dungeon, or fight a boss. 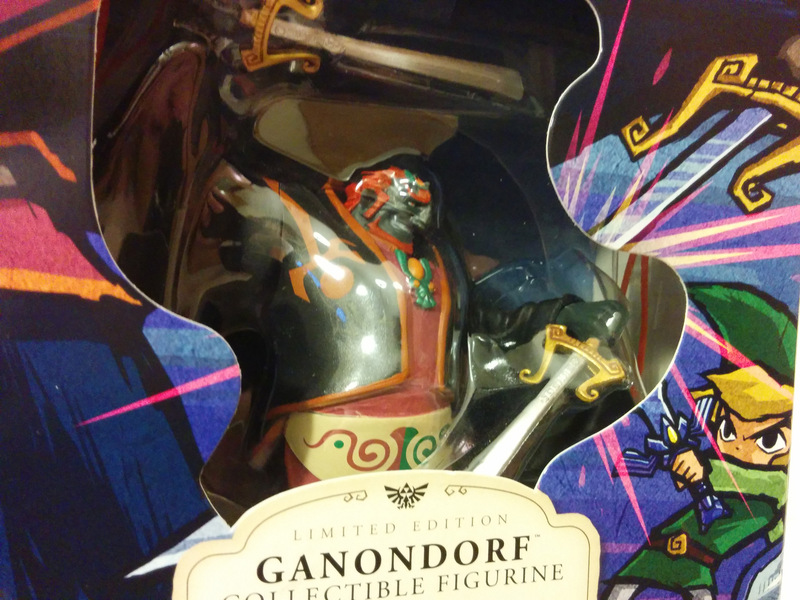 This version sold exclusively at Gamestop features a Ganondorf figurine. 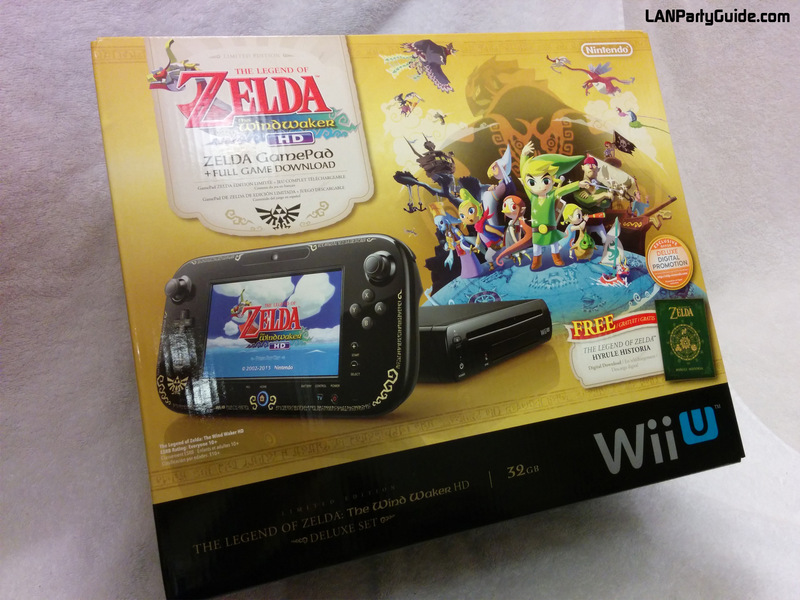 This bundle featured a Wii U tablet controller with gold Zelda accents around the edges, along with a digital version of both Wind Waker HD and Hyrule Historia. 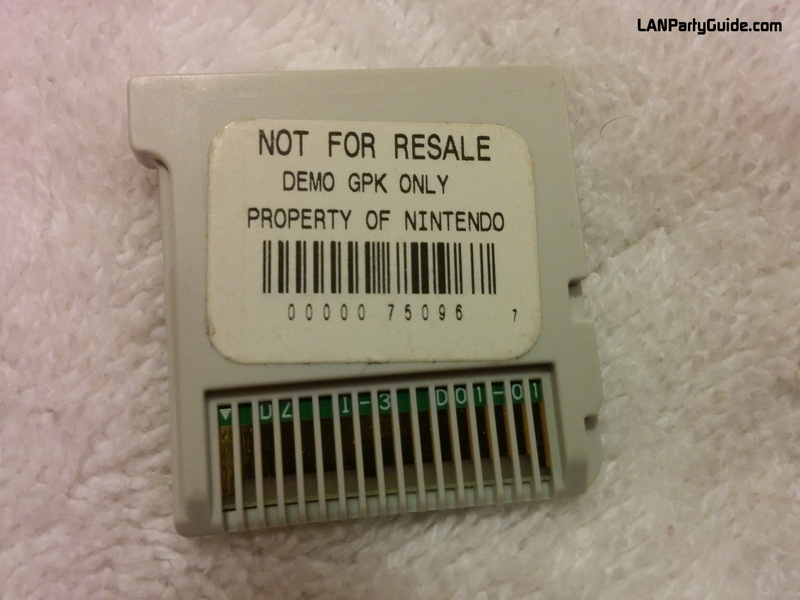 The console itself has no special markings. 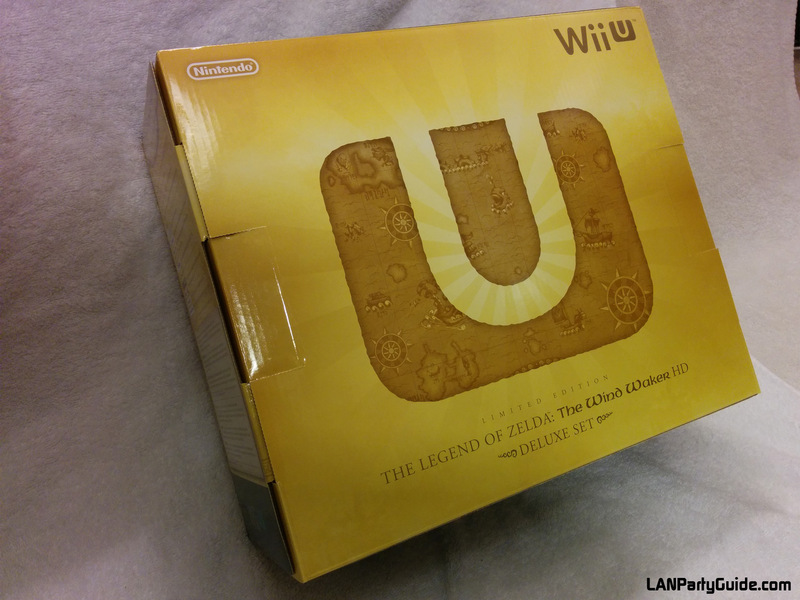 This bundle was released November 2013 and features a gold lid and black bottom. 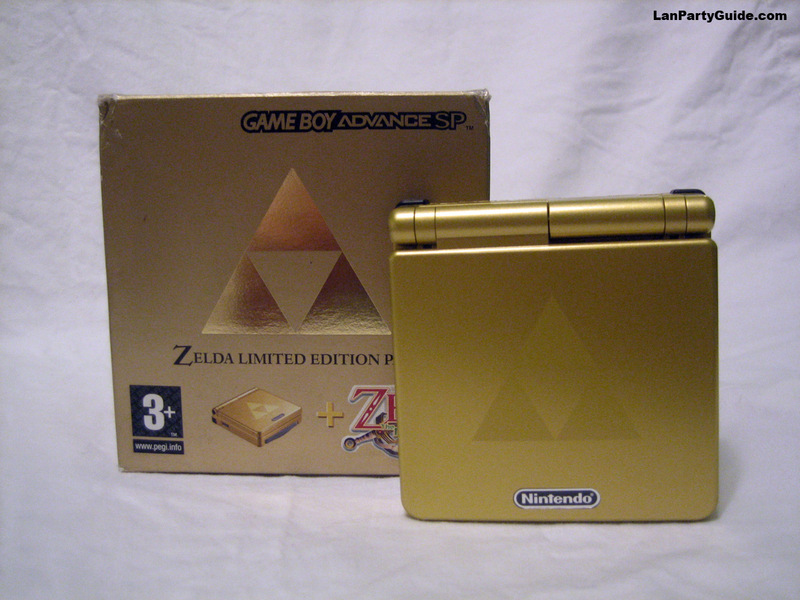 A triforce can be seen on both sides of the 3DS, and when opened it has the same gold / black mirrored triforce design as the game's logo. 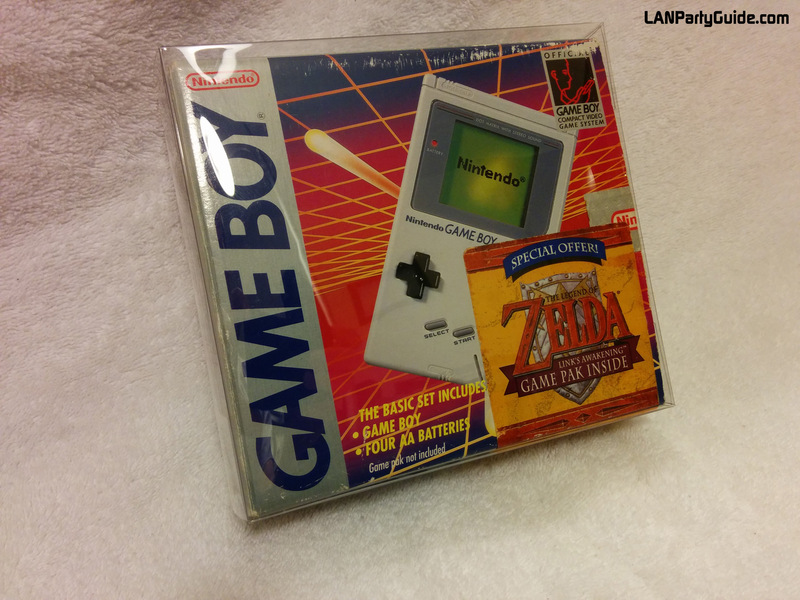 This bundle included a copy of Link's Awakening. 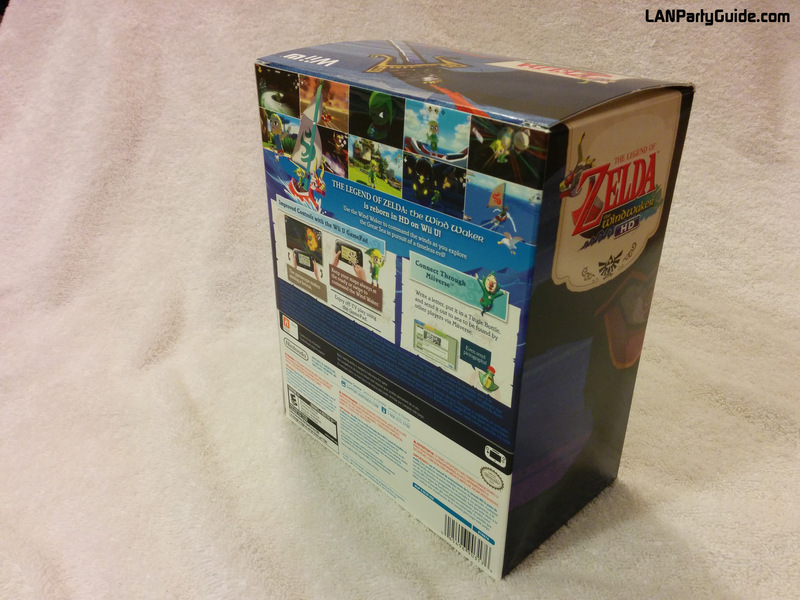 The box itself has no special artwork other than the Zelda sticker on the front. Below you will find some other rare items that haven't found their way into my collection yet. 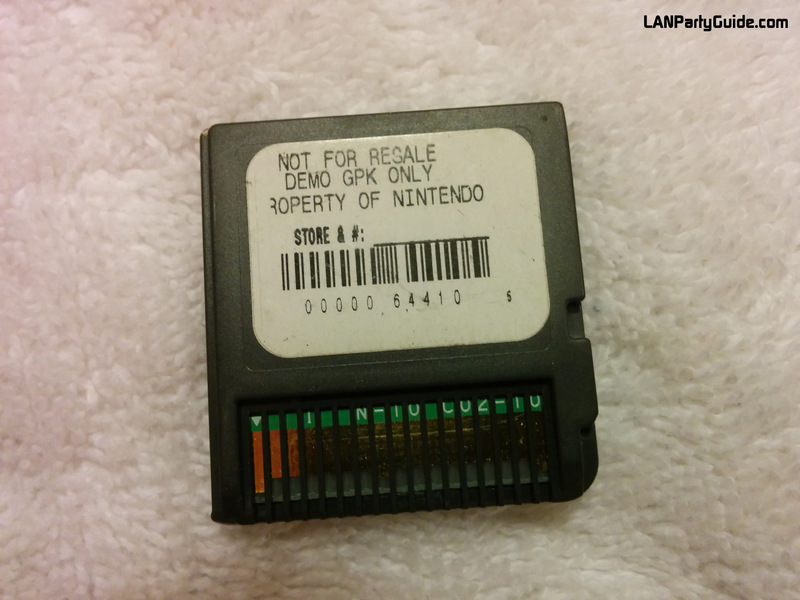 This very rare item is said to be a 'test cartridge' used by Nintendo Repair Shops. 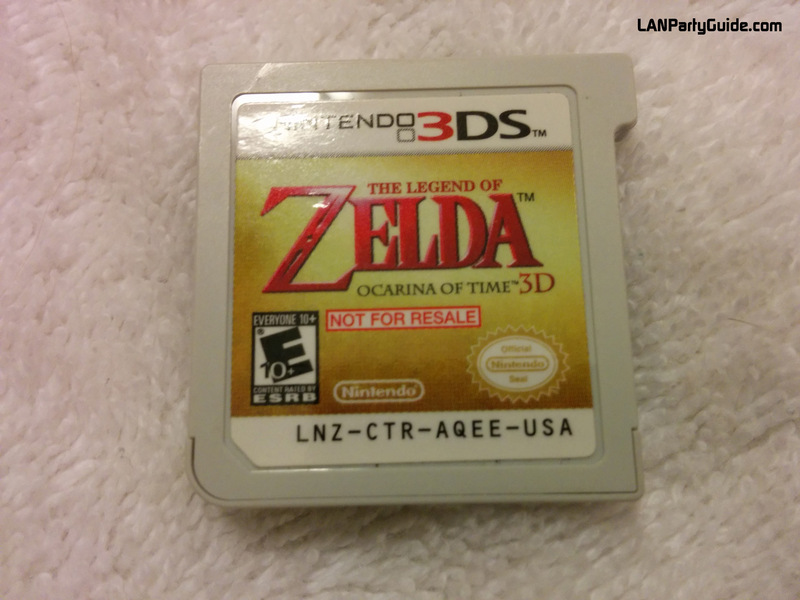 The game itself is apparently no different than the regular one, just the yellow cartridge is what makes it special. It is unknown how many are in existence, but rest assured, it is very rare. 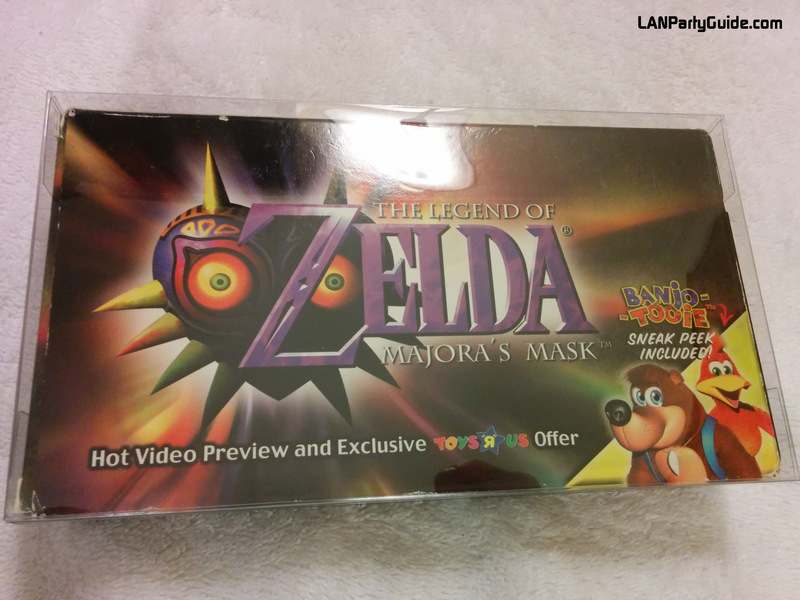 This insanely rare item was given away as a promotional item for the launch of the Minish Cap. A total of seven are in existence. 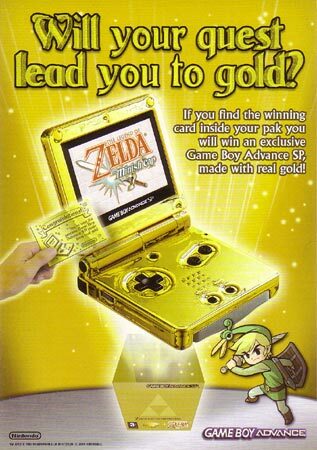 Nintendo put golden tickets (ala Willy Wonka) in GBA & Minish Cap Bundle packs. 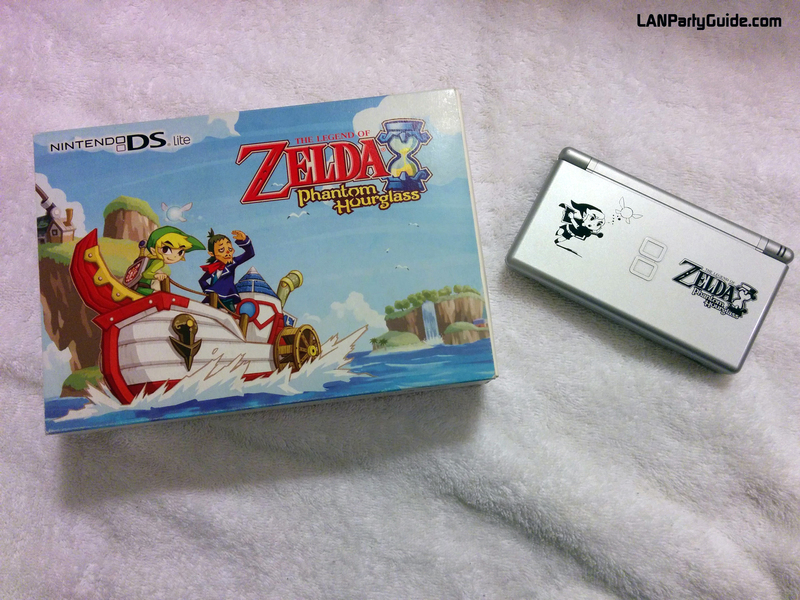 One thing to note however, is that there technically is no Triforce or other Zelda insignia on this GBA. (I can sleep better at night when I tell myself that). If any of you lucky seven would like to donate it to me, I would be your best friend! I don't even know what to say except yeah it's rare and who knows how many possible versions there are. 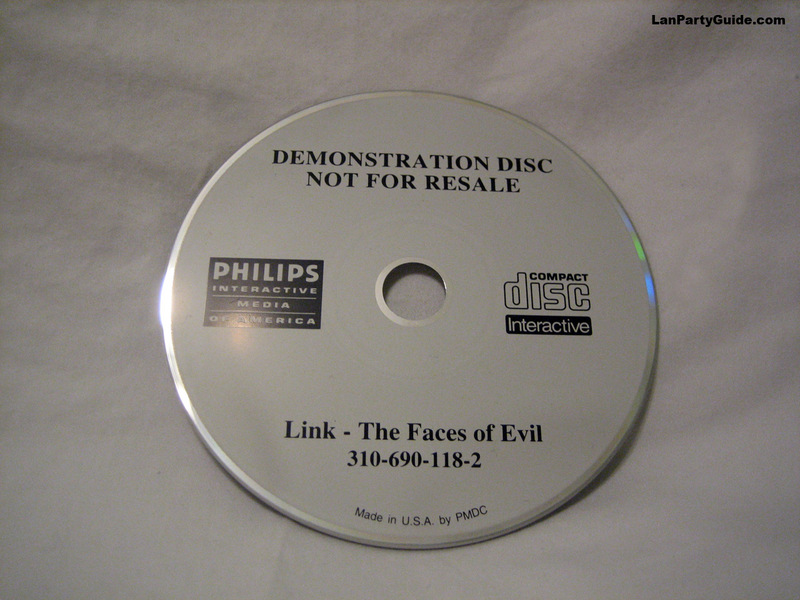 Based on the fact that it says "Link", I'm going to assume this is a test disc for "Link - The faces of Evil". 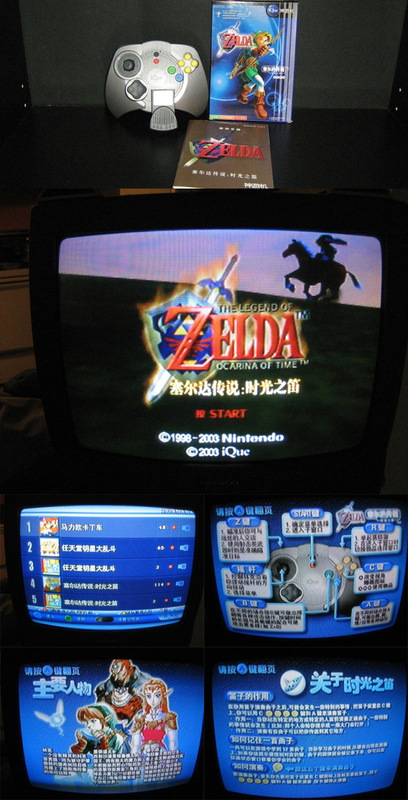 The iQue player was developed by Nintendo and Chinese-American scientist Dr Wei Yen, and was only available in China. 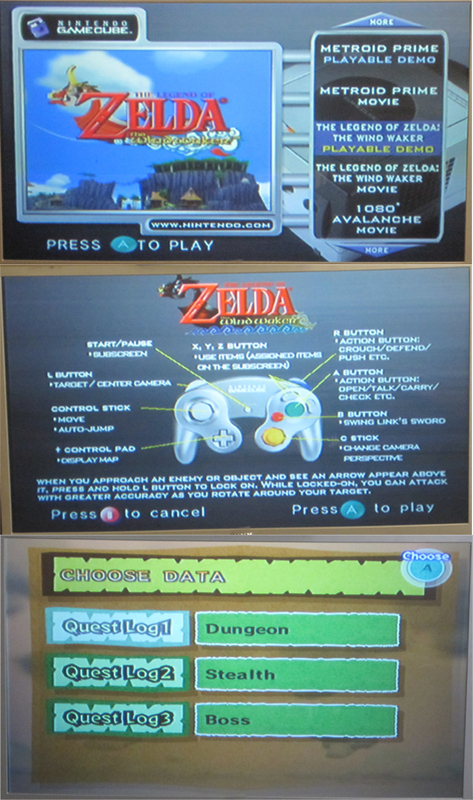 The controller itself is also the videogame console. 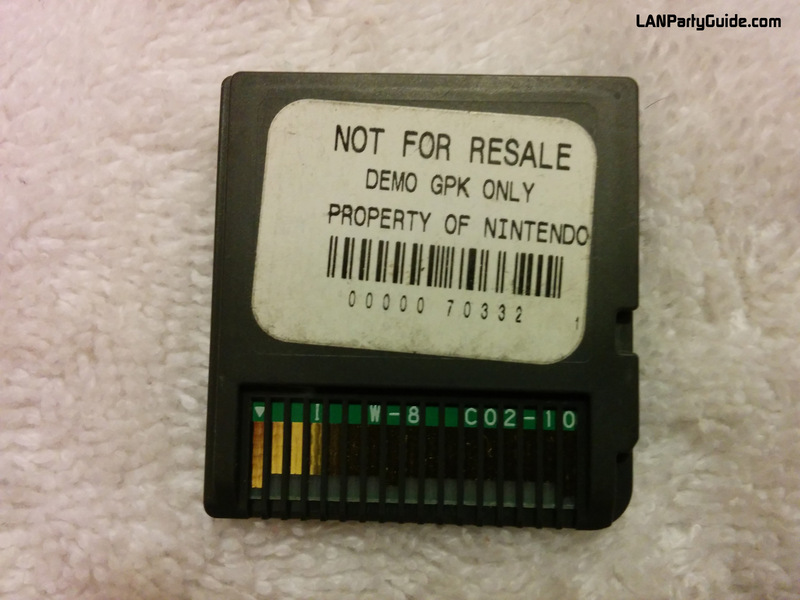 A 64mb flash card stored the games. 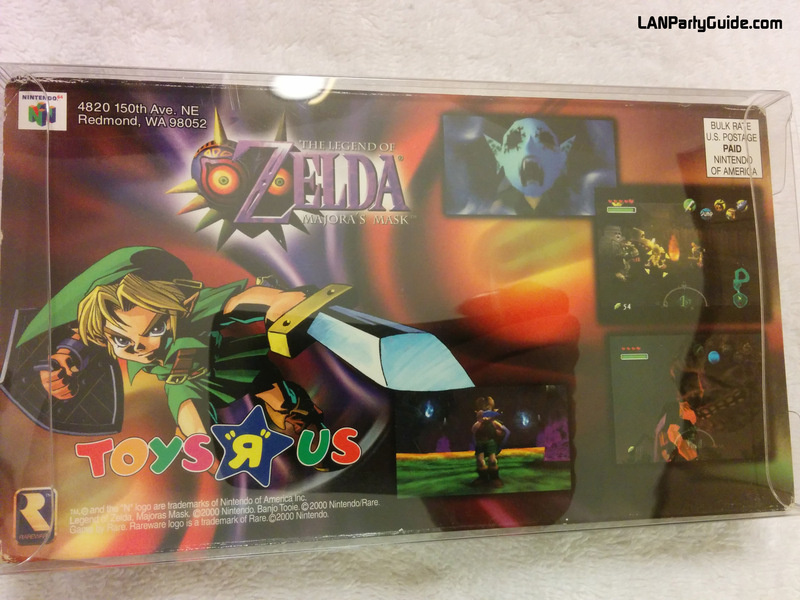 This card could be loaded with different games by taking it to an "iQue depot". 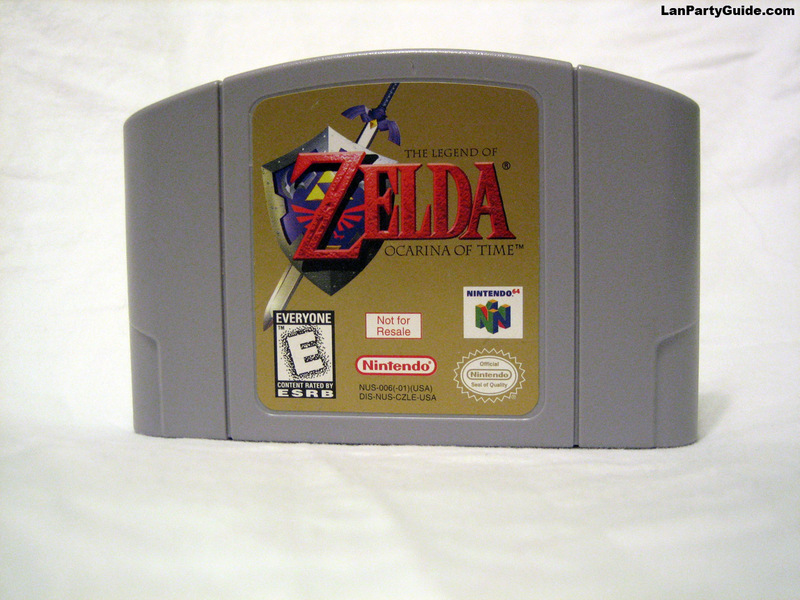 One of the games that could be loaded onto the cartridge was the Ocarina of Time. Part of me is glad I don't have this in my house. I mean, look at him. It's embarassing. 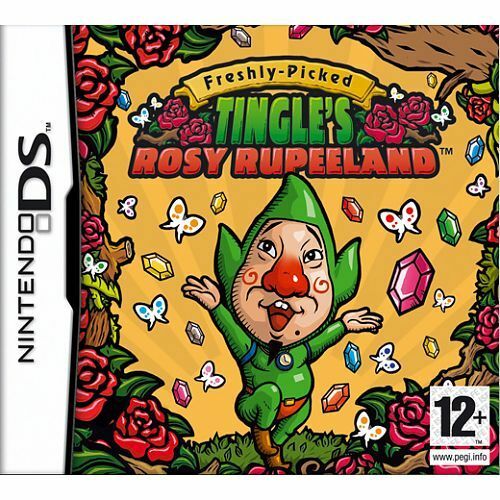 Anyways, this spinoff game tells the story of Tingle, and how he became obsessed with rupees. 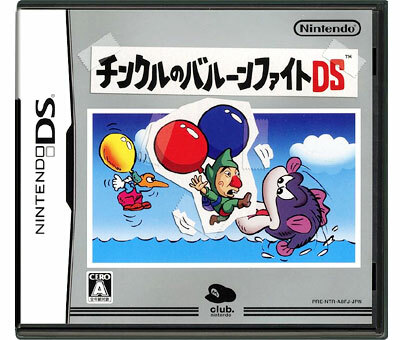 Less embarassing than the previous game, but still starring Tingle; this game puts Tingle into a remake of Balloon Fight for the original NES.